DS Laboratories Spectral.LASH Eyelash Stimulator: Does it Work? Does DS Laboratories’ Spectral.LASH Eyelash Stimulator work? Before I attempt to answer this, let me first say that prior to trying this product I had been using Latisse with great success for almost two years. So much success, that I would often get asked by random strangers (like while in the grocery checkout line) if I had eyelash extensions, or if I was wearing false lashes. So why then, you ask, did I give Spectral.LASH a chance if I was so happy with Latisse? There were a couple of reasons…. Late last year I had come across one of those random complimentary strangers, namely the sales associate at Ulta who had commented on my long lashes while I was checking out. When I told her I used Latisse, she said she used to use Latisse as well, but had made the switch to DS Laboratories Spectral.LASH and actually preferred it to Latisse. I had never heard of the product, but took note of the name. There was a line of people behind me and I was hurriedly fumbling through my giant purse to pay for my purchase, so I didn’t get much of a chance to check out her lashes before I scurried off wondering how this pit stop to replenish my Bare Minerals foundation resulted in another $100+ shopping spree. Ugh…it adds up soooo fast there. Anyway, a few weeks later, I went to put in my bi-annual online Latisse order, and was devastated to learn my go-to website had apparently been bought out by a company that doesn’t have it’s crap together. After multiple attempts to order a bottle of Latisse online from the new Florida based company to no avail, I remembered what the Ulta associate had told me and decided to give Spectral.LASH a shot, rather than paying the full retail price of Latisse at my Dermatologist’s office. 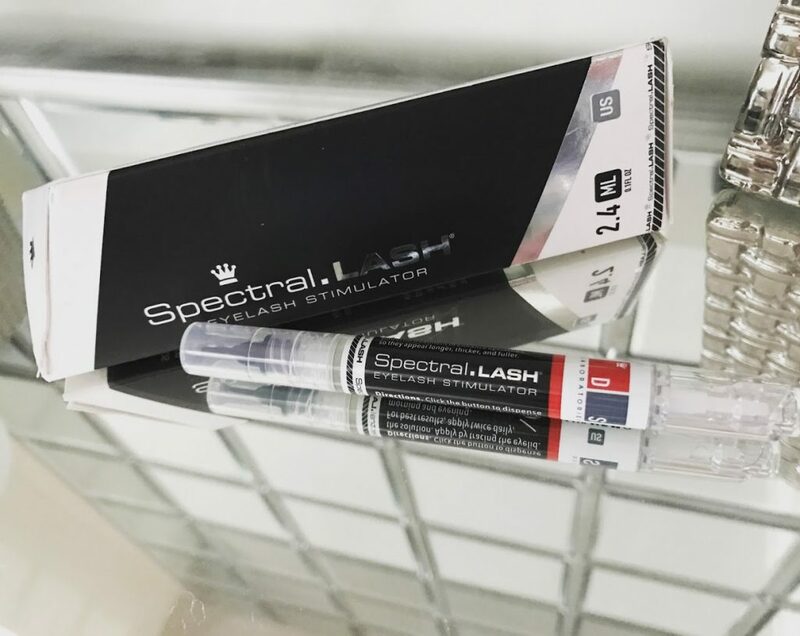 At first glance, I was pleasantly surprised to see the relatively reasonable price of the Spectral.LASH, which as you can see here is only $49, compared to Latisse at $179 for a 5ml bottle. I should add that I’ve previously purchased the 5ml bottle of Latisse for only $109 when it was on sale at the now defunct website, so it is possible to get it at a discount. When you consider the Spectral.LASH is only a 2.4ml container and they recommend applying it twice a day, it actually does not make it that great of a financial steal compared to the 5ml bottle of Latisse, which is obviously twice the size, and you only have to apply it once a day. I’ve been able to make the 5ml bottle of Latisse last for over 6 months, but I’ll get to that a bit later. 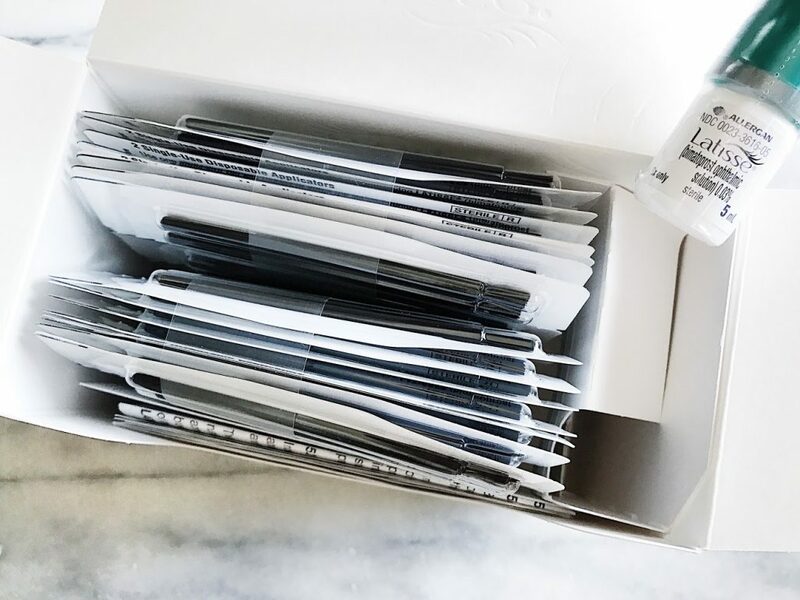 By the time I started using Spectral.LASH, it had been a little over a month since I’d last used Latisse and my lashes had already begun to disappear, though they were not nearly as sparse as before I started using Latisse in early 2015. So at a minimum, I was hoping the Spectral.LASH would at least maintain the lashes I had when I began using it. After all, the product already had a leg-up since my lashes were slightly fuller as a result of my previous Latisse use. I’ve applied Spectral.LASH one to two times a day, every day since I began using it on January 16th this year. I realize the instructions state that you should use it twice daily; however, if this is indeed necessary for results, then it’s definitely not as good of a buy as Latisse. So here you can see a couple comparison shots. The top photos in each of the two comparison sets were taken the day I began using Spectral.LASH on January 16th, and the bottom photos were taken today, March 15th. So, a couple things to note. First, as you can see….I have no eyebrows. This is not by choice. These pathetic things have not seen a set of tweezers in almost two decades. So ladies, if ya got em, flaunt em….my sad little spermy looking eyebrows and I will be living vicariously. Now, back to my eyelashes. From these comparison shots, it may not look like there’s much of a difference at first glance; however, if you look closely, you can see that my lashes have thinned out a bit between the top (before) and bottom (after) photos in each set. Also, the super long lashes on the outer corners of my eyes in the top photos are no longer….and those suckers are critical when applying mascara. Additionally, you can see how the color of my lashes has lightened. 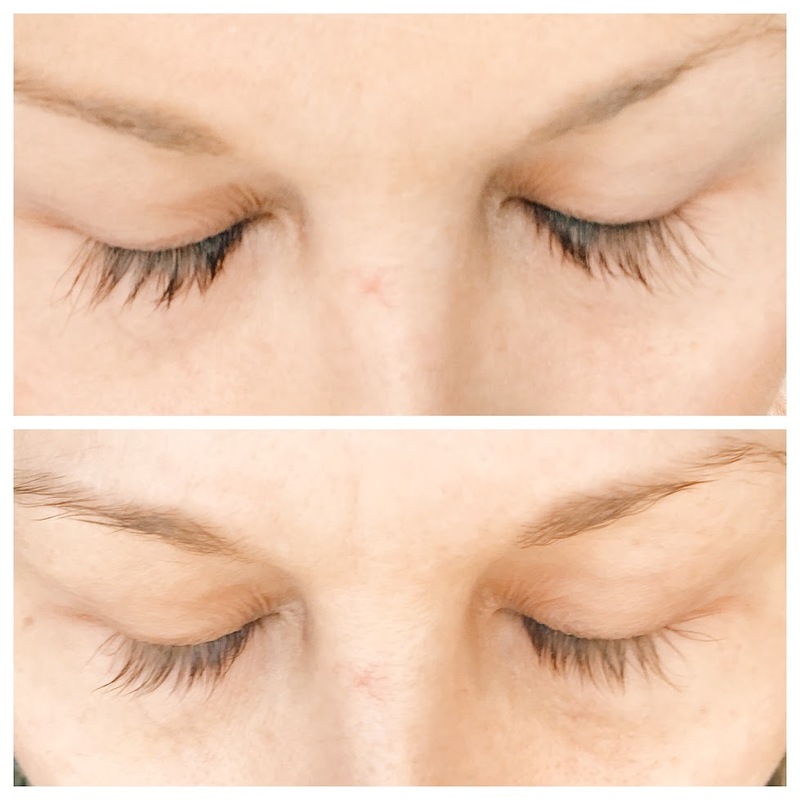 I had not worn mascara for several days before either of the photos….Latisse actually darkens your lashes. On the darkening note. 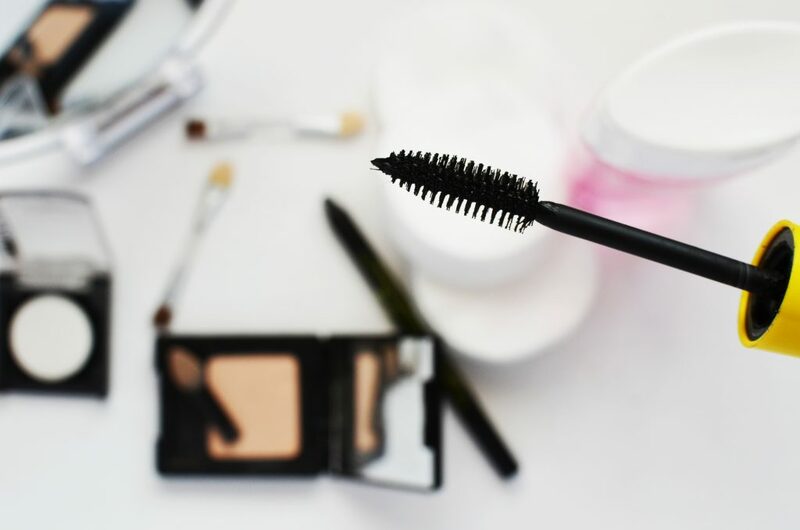 One reason people were wary of using Latisse when it was first introduced to the market for use as an eyelash growth stimulant is because of a potential side-effect of it causing a darkening of the actual eye. This warning has since been removed, as the use of this medication (bimatoprost ophthalmic solution) for eyelash growth was not found to cause this side effect, since the medication is not placed in the eye. So my official verdict of Spectral.LASH is that, while I had high hopes for it, it’s kind of a waste of money, as it didn’t even maintain the lashes I had when I started using it….and they’re continuing to go downhill. I broke down and bought a bottle of Latisse at full retail price ($179) from my dermatologist last week, so I’m eager to start using it again and sort of “stop the bleeding” so to speak. I’ll do another follow up post so you can see the full potential of Latisse on someone who clearly struggles with lash and eyebrow growth. 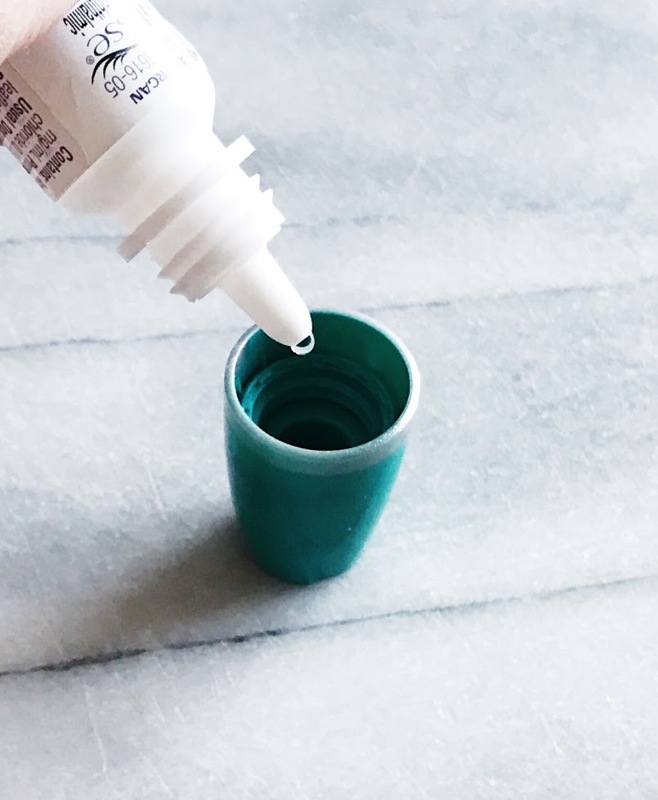 If you happen to purchase Latisse, or you’re already using it, here are a couple of tips to help you get the most out of that tiny bottle of liquid gold, as I like to call it…. First, ditch all those brushes that come in the box with your Latisse, and instead get yourself an eyeliner brush like this. Second, instead of applying a drop of Latisse directly on the brush, put just ONE drop of Latisse into the cap of the bottle. Then dip your eyeliner brush into the cap, apply the Latisse to one eyelid…re-dip, and move onto the next eyelid. 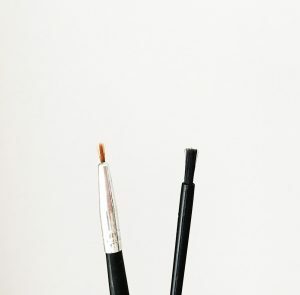 By using this technique, more of the liquid gold will make it onto your eyelid, vs. getting sucked up in those thick brushes they give you. Plus it only requires ONE drop of Latisse to cover both eyelids, rather than one drop per eyelid. Thus, your 5ml bottle should last you for at least six months. At least that’s been my experience. If you struggle with eyelash growth, I cannot recommend Latisse enough, and I am totally not being compensated or influenced in anyway to say this. I used to cringe when it was time to apply my mascara, as I had some really sad lashes that were stubby and sparse. My mom really struggles with this as well, and it’s only gotten worse with age. So I’d initially tried Latisse to gain some control over their demise, since I knew I was following in my mom’s footsteps.. Never did I imagine it would work so well that I would soon have lashes that others would actually envy. 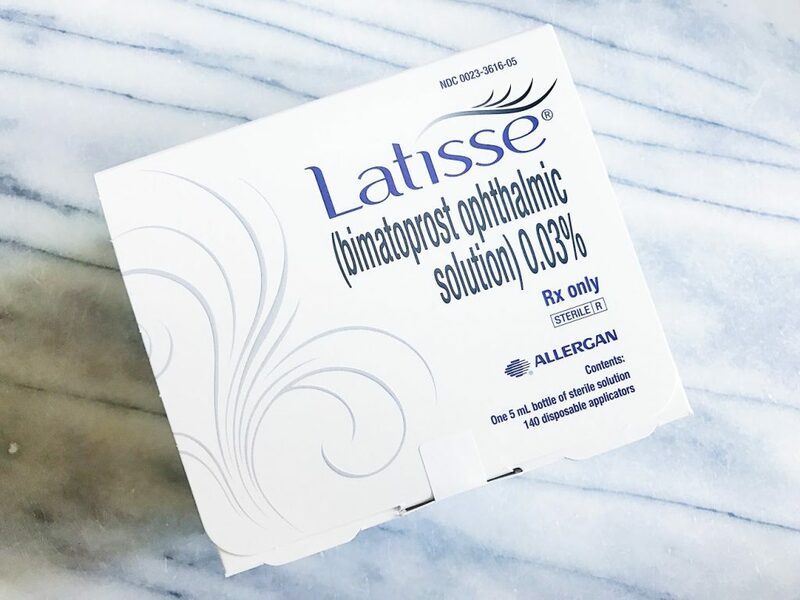 The FDA has approved a generic version of Latisse (bimatoprost ophthalmic solution) for eyelash growth (vs. it’s original intended use, which is to treat glaucoma), but my dermatologist does not carry the generic, of course. Remember that Latisse requires a prescription, and you should consult with a physician before beginning use to be sure you don’t have any medical conditions that may cause complications. I hope you all have found this to be helpful! 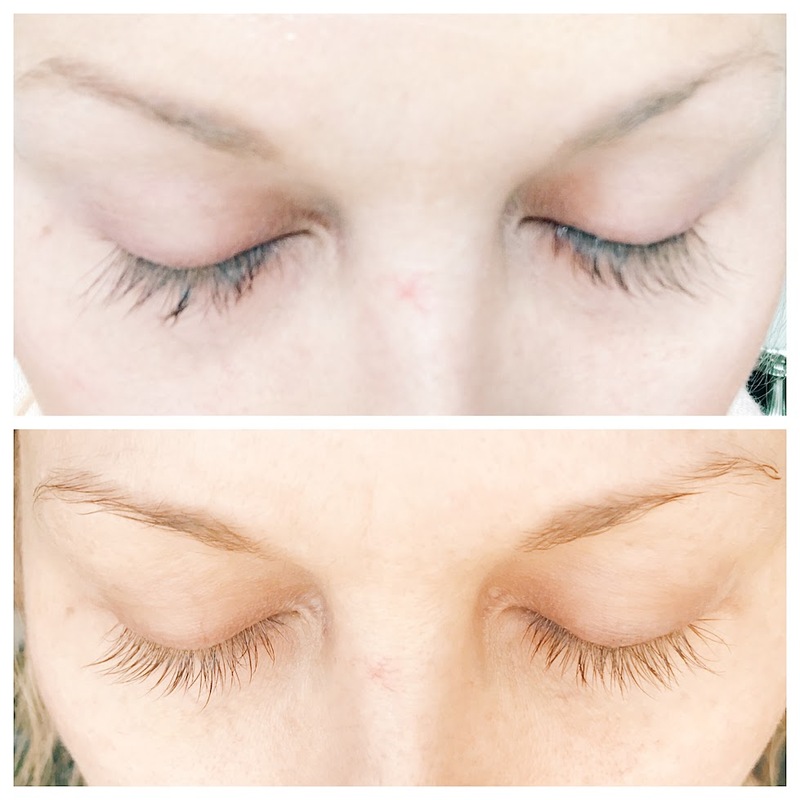 And if anyone has had better results from Spectral.LASH, I would love to hear about them!